Would you want to live on a space station built around an asteroid? Why or why not? What would be the risks and benefits of dragging an asteroid back to Earth orbit? Do you think it's more beneficial for scientists to study science fiction movies or for science fiction writers to interview scientists? Why? Many things get destroyed in action movies. Writers rarely include the economic impact of these events. How do you think it would affect the plot if they did? In this NASA lesson, students will create a fictional narrative on the beginning of time. They will use their knowledge of the Big Bang Theory and go back into time to when it occurred so they can make observations about it. They have four options as to a final product. In this lesson, students will learn about the relationship of form to function in architecture as they create polygonal structures that serve a particular function. They will see that the issue of form and function is one that designers of all types are involved with. 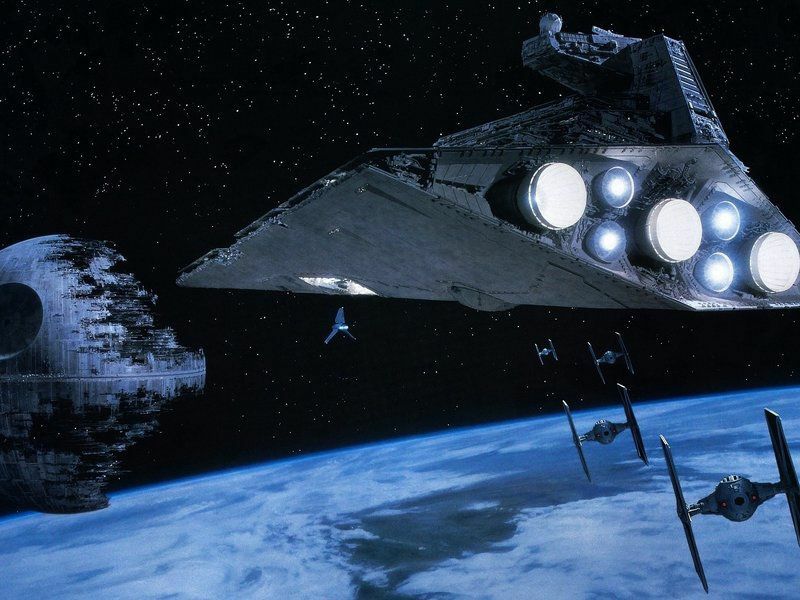 This Smithsonian article describes the science fiction behind several locations and astrological events described in the “Star Wars” movies. Click the links to read how scientists later proved that these examples of science fiction are actually fact. This Smithsonian article examines how “Star Wars” costumes have evolved over the past 30 years and explores how they have become part of our cultural knowledge base. In this online exhibition, students will examine the mythology beneath the “Star Wars” story by winding their way through the “hero’s journey” outlined in the plot and examining artifacts from the original “Star Wars” trilogy.